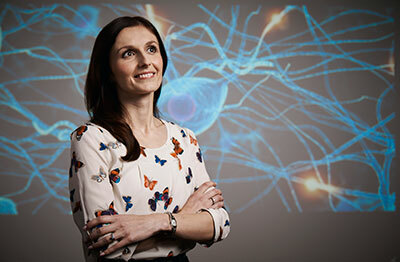 Neuroscientist Dr Muireann Irish is one of several scientific experts speaking at the Inspiring Australia Vivid Ideas event The Social Brain: Better brain health at work on 9 June. VIVID Sydney runs from 27 May to 8 June and is world renowned for its spectacular sights and sounds. There are also dozens of talks targeting the creative industries in the Vivid Ideas program that this year will present many exciting science, technology and innovation ideas up for discussion – including Inspiring Australia’s own Neural Knitworks! The information encoded in the light emitted by stars and galaxies is the key to understanding our Universe. Join a panel of astrophysicists who will discuss astronomical discoveries in the age of Big Data. Presenting two free kids robotics workshops! These workshops are designed for kids with every level of coding experience (including none at all), and will include an introduction to Scratch, allowing your kids to explore programming and playing with robots. Our digital world is bringing to life the wonder, discovery, knowledge and memories that were previously only available in person. Join a panel of industry experts and technologists demonstrating new cutting-edge tools, and presenting novel experiences that are engaging the public at large. Join a networking brunch and interactive workshop about challenging current organizational practices and performance; rethinking collaboration and innovation; and creating a brain-friendly culture. Hear from a team of panelists on how to integrate STEM with art, design, and computer science, plus learn to make a stunning paper lamp using a technique called Origami Sekkei, or mathematical paper folding, conveying concepts such as bio mimicry, iteration, and elementary symmetries. This event has BOSTES accreditation. The recent National Innovation and Science Agenda has promoted an ‘ideas boom,’ but what does this mean? This event highlights some of the exciting examples of what we can achieve when we adopt an academia-based, creative and tech approach to problem solving. KLR hosts a fasciliated panel discussion with C-suite technology executives across diverse industries to debate the merits and successes of innovation within their industries, and their forays into the independent start-up community. Suiting a range of audiences, this Masterclass will teach key visual perception principles, provide insights and practical experience in the methods and tools for data visualisation, as well as a guide to the use of visualisations for storytelling. Participants will learn to get more impact out of visual analytics. Explore the world of bot-building in the ultimate test of man and machine. Hand-made robots will fight each other in an unforgettable, unique event for the whole family. How anxious are we as individuals and as a society? Join a team of arts and mental health professionals for an interactive event exploring our experiences with anxiety: how we feel, how we manage it, and how we think we can reduce it. We are racing towards a utopia of absolute seamlessness in brands and branding: a utopia where technology, speed, ease and perfection rule. But is this really an optimal goal? This event will provoke anyone from marketers, strategists and designers, to those interested in psychology, visual perception and science, into thinking differently about order and chaos – at work and in life. Renowned medical illustrator Bang Wong will take us on a journey to explore visual strategies to meet the analytical challenges posed by the unprecedented scale, resolution, and variety of data in biomedical research. After crowning the winner of this year’s VizbiPlus Challenge 2016, selected audience members, whose work bridges art and science, will present lighting talks. We’re living in the age of data, seeing an unparalleled growth in both quantity and variety. Join an interactive forum of experts in geoscience, metabolism, and the social impact of data, as they discuss how data has transformed all areas of science and society. Join an interactive panel, bringing together creative thinkers, entrepreneurs and healthcare specialists, to reimagine the future of healthcare in Australia. Join a panel discussion and interactive workshop about how world-leading design and industry practitioners innovate using 3D printing, and how other rapid prototyping technologies are revolutionizing their industries, and how they see the future of design. Create beautiful textile neurons with Neural Knitworks, and join a panel of brain and mind experts to discover current research into the social brain. Living in a world of Big Data, we have access to more data and real-time content than ever before, and our decisions impact millions of people and millions of dollars. How do we use this information without destroying creativity? Join two teams of industry experts as they debate it out – and register your vote at the end! Craft gorgeous textile neurons with Neural Knitworks and join a panel of brain and mind experts to discover current scientific research into the social brain. What can we do at work to fire up the neurons in our brains and keep ourselves learning, emotionally healthy, intellectually challenged and engaged? This event is presented by City of Sydney Library and Inspiring Australia. Join an exciting, free networking event connecting practicing artists and scientists interested in cross-disciplinary collaboration, featuring art installations and performances, live music, creative interdisciplinary presentations, and speed-meet sessions. Join a workshop and networking breakfast and learn how to prepare your team for achieving richly imagined outcomes that will position your company for a more competitive future.